Yoshimitsu Kobayashi is Chairman of Mitsubishi Chemical Holdings Corporation (MCHC). Dr. Kobayashi received an M.S. in interdisciplinary science from the University of Tokyo in 1971, then studied as a government-sponsored foreign student in radiation physics at Hebrew University of Jerusalem, Israel in 1972, and in radiation physics at the Scuola Normale Superiore in Pisa, Italy in 1973, and received a Ph.D. in radiation physics from the University of Tokyo in 1975. He joined Mitsubishi Chemical Industries Limited (currently Mitsubishi Chemical Corporation) in 1974, and was named President of Mitsubishi Kagaku Media Co., Ltd. and General Manager of Information Storage Products Department in 1996. 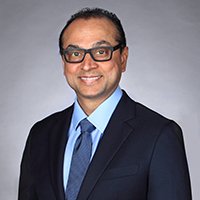 He went on to hold positions as Chief Technology Officer, Managing Executive Officer of Mitsubishi Chemical Corporation, and President and Chief Executive Officer of Mitsubishi Chemical Group Science and Technology Research Center, Inc., then became president and CEO of MCHC in 2007. He also assumed the role of President of The KAITEKI Institute in April 2009. He became Chairman of our institute on February 1, 2015, and chairman of MCHC in April, 2015. Hideki Murayama received his Ph.D in Engineering from the University of Tokyo in 1986, and then joined Mitsubishi Chemical Industries Limited (currently Mitsubishi Chemical Corporation: MCC). 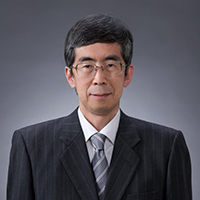 He was named General Manager of MCC Hard Disk Development Center/Mizushima Plant in 1998, and in 2002, he became General Manager of Frontier Carbon Corporation Research & Development Center. After that, he became General Manager of Inorganic & Composite Materials Development Center of Mitsubishi Plastics, Inc. (MPI) in 2011, General Manager of Fundamentals R&D Center of MPI in 2013, and Executive Officer of MCC and President and Chief Executive Officer of Mitsubishi Chemical Group Science and Technology Research Center, Inc. (MCRC) in 2014. In 2016, Dr. Murayama became General Manager of R&D Strategy Dept., Corporate Strategy Div., Executive Officer of MCC, and General Manager of R&D Strategy Office, Executive Officer of Mitsubishi Chemical Holdings Corp. (MCHC). In 2017, he became Managing Executive Officer, CTO of MCC and assumed the current position as President of our institute, and as Chairman of the Advisory Board on April 1, 2018.